Social Security Disability Benefits are benefits provided by the SSA or Social Security Administration for individuals who have been disabled and can no longer gainfully work. Hester, Grady & Hester, NC Social Security Disability Benefits Attorneys and Lawyers, has been helping disabled people in Southeastern NC obtain social security disability benefits for over twenty years. We have the experience and knowledge it takes to understand the complex nature of filing an appeal with the Social Security Administration and the intricacies of handling such difficult cases. We can even appeal your case to the Appeals Council or Federal Court if necessary to secure your benefits. 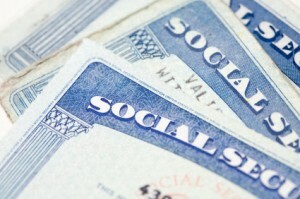 The first step in trying to obtain social security disability benefits is to file a claim with the SSA. If your claim is denied, the next step should be to obtain legal advice from a social security disability attorney or lawyer. Social security disability benefits are available as DIB (disability insurance benefits) also called RSDI (retirement survivors and disability insurance) or SSI (supplemental security insurance). Are you currently employed and making substantial earnings? Do you have a severe impairment that is preventing you from working? Is your impairment a medical impairment as defined by the SSA? Does your impairment prevent you from performing past relevant work? If you can’t perform your past relevant work, does your impairment prevent you from being able to perform any other type of work? Depending upon your answers to these five questions, we can offer early advice as to whether your claim has a chance of being accepted. The key to a successful claim is being persistent and having experienced legal counsel from the very beginning. Hester, Grady & Hester PLLC is your advocate and will work diligently on your behalf. Contact Us for more information.